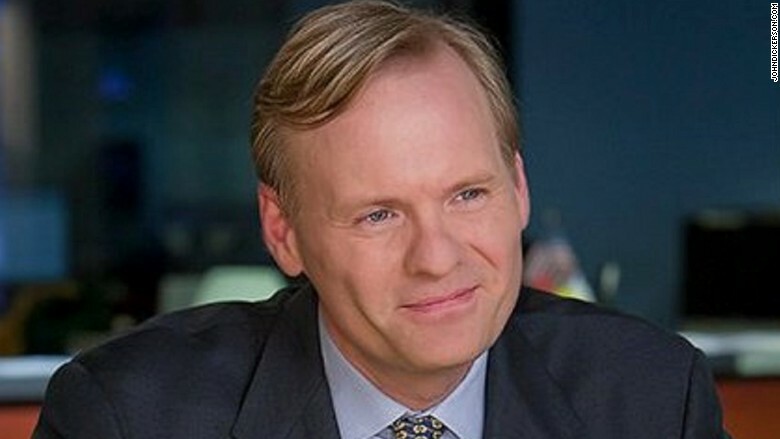 John Dickerson has been the political director for CBS News since 2011. CBS named its political director, John Dickerson, as the new host of "Face the Nation" on Sunday. The news was announced on air by broadcasting legend Bob Schieffer, who has hosted the Sunday morning political show for 24 years. He said on Wednesday that he would retire. Dickerson has been the political director for CBS News since 2011. He will take over the program on June 7. What Dickerson lacks in star power, he makes up for in reporting power. Journalists across Washington praised his appointment on Sunday, even as some sounded openly surprised by it. "WOW," tweeted CBS congressional correspondent Nancy Cordes. "One of the most insightful reporters in DC who is kind and funny to boot will take the helm of Face The Nation." CBS News president David Rhodes also highlighted Dickerson's reporting chops. "John is first and foremost a reporter -- and that's what he'll be as anchor of 'Face the Nation,'" Rhodes said in a statement. "His work in the studio will always be informed by what he's learned in Iowa, in New Hampshire, on Capitol Hill -- anywhere there's news." Dickerson said, "I'm thrilled. I have watched Bob my whole professional life not just as a viewer but as a daily reporter who also covered the Hill." CBS said Dickerson has made 83 appearances on "Face the Nation" over the years. He will remain a political columnist for Slate. While at CBS, he has simultaneously been the web site's chief political correspondent. "Dickerson's Slate fans need not worry -- he will continue his writing and podcasting work for the magazine as a political columnist after he assumes the host's chair," the site said on Sunday. Dickerson is a Washington native. His mother, the late Nancy Dickerson, was a pioneering newswoman and, in 1960, became the first female correspondent at CBS News. She was an associate producer on the first 'Face the Nation' broadcast. "Mom would have been excited," Dickerson told Schieffer on Sunday's program. Schieffer announced his retirement plan at his annual "Schieffer Symposium" at Texas Christian University, his alma mater, on Wednesday. Dickerson was mentioned as a candidate to succeed Schieffer. Other reported possibilities included "CBS This Morning" co-host Norah O'Donnell and White House correspondent Major Garrett. CBS may have been reticent to move O'Donnell off the weekday morning show, which is more important financially for the network than "Face the Nation." Garrett wrote on Twitter on Sunday, "With Face the Nation, Bob Schieffer set the industry standard, one John Dickerson will burnish in his own impressive way."